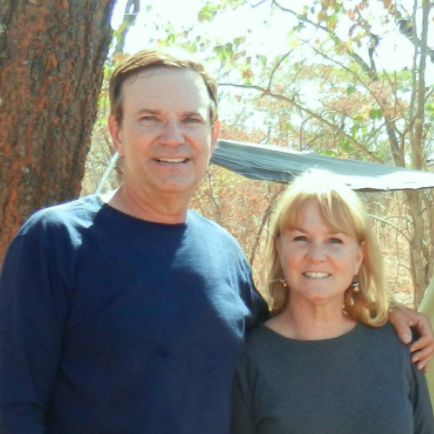 Z-A-M-B-I-A: He loves Zambia today as Jesus loves ALL the little children of the world. This has been our ministry theme for the Children’s Crusade in the village of N’songway. Jack was the guest evangelist at a village church preaching about the importance of children to God. He encouraged parents to love their children by recognizing and developing the talents and gifts God has given them. Their pastor did a great job interpreting until Jack’s storytelling got him and the rest of the people who understood English laughing. Then they had a 2nd laugh when the pastor could finally repeat the story in Tonga! Meanwhile, Bev taught the children’s church in another open-air brick and thatch building for 1 and 1/2 hours! 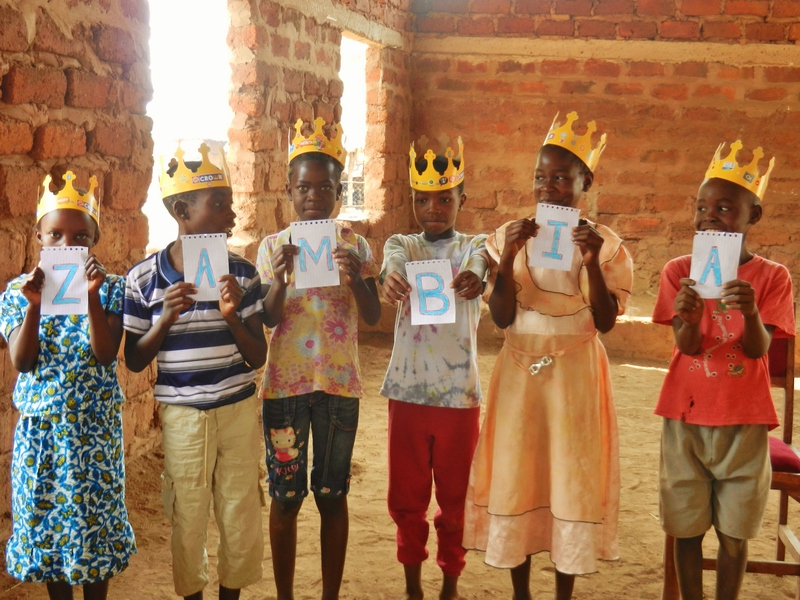 From John 8:12, she taught that Jesus is the light of the world as they shared songs, games, and a craft project provided by Overland Missions (paper crowns & stickers). Jumping on the dirt floor was sooo much fun- not! During the last prayer inviting the children to come into the light and love of Jesus and live for Him, Bev was swarmed by eager little ones. Being raised by adopted village “aunts”, many of the children feel like outsiders because they have lost one or two parents to AIDS. Even if the biological parents are alive, they fear getting too attached to their children because of the high infant mortality rate. When asked if the Children’s Crusade made a difference in their lives, the pastor responded with an overwhelming, “Yes!” Building back their self-esteem is a challenge, but through Christ all things are possible. A huge THANK YOU to our ministry partners for all the financial and prayer support towards buying the necessary bush vehicle – a 2002 Toyota Prado SUV imported from Japan! This weekend we start training in “Farming God’s Way,”a revolutionary process of organic farming techniques. About 40 area farmers will be staying on base to participate. We are drinking plenty of water as the daytime temperatures now average 110°. Posted on September 20, 2013 by fullersmission. This entry was posted in Afica, Newsletters and tagged adventure, africa, Almighty, christ, Far, Healing, human-rights, learning, religion, School, Trip, Water. Bookmark the permalink.